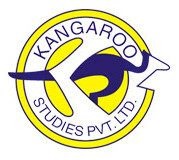 Kangaroo Studies has been offering educational consultancy services since 1995, working with some of the world’s most prestigious institutions and forging connections in countries like Australia, Canada, New Zealand, the United Kingdom, the United States, Ireland, Switzerland, Singapore, and Dubai. Though the first office opened in New Delhi, seven more offices have been opened in northern India since. With an expert staff and offices all within 500 km, Kangaroo Studies has achieved many accolades in different fields as well as discerning strengths and capabilities. They strive to be one of the best sources of the most authentic and accurate information for students and parents and work hard to help students evaluate the best available alternatives around the globe for earning professional qualifications. Education is their passion, not just their business.